“In the past 25 years I have probably seen 10,000 movies and reviewed 6,000 of them. I have forgotten most of them, I hope, but I remember those worth remembering, and they are all on the same shelf in my mind”. –Roger Ebert. Clearly, these are not my words. 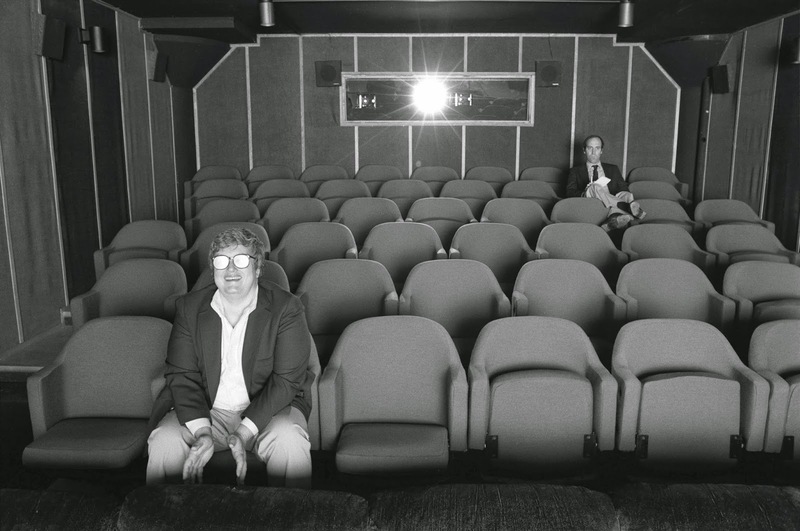 They are the words of Roger Ebert, spoken in the feature-documentary chronicling the amazing life and career of arguably the worlds most famous film critic. These words stand the test of time not simply in reference to movies, but also to songs, moments in life, and people. We remember songs that have meaning to us, moments that shook us and people who moulded us, for better or even for worse. Here at Night Film Reviews, we like to be diligent and deliver the best and most accurate lists for our readers. We all know the feeling of satisfaction when after searching for a new movie, you pluck one off one of our lists, and the movie exceeds even your highest of expectations … no feeling is better! Many feared 2014 would be a sad and slow year in cinema, but nothing could be further from the truth. Movie houses large and small churned out some amazingly original and revolutionary cinema over the past 365 days. While Boyhood is all the rage coming towards Award Season, you will not see it on our Top of the Year List. While it cannot be debated that the film was the perfect execution of a revolutionary vision by director Richard Linklater, we found the film to be a bit too clichéd, overacted and familiar for our liking to be included. If it takes home the coveted Best Picture prize at this year’s Academy Awards, we wouldn’t argue or feel aggrieved, but the motion picture itself will surely raise some eyebrows for many cinephiles, come many years down the line. Every year, the powerful medium of cinema never ceases to amaze me, and 2014 is no exception. Edgar Wright was recently quoted for praising original works and creative cinema, while others are ecstatic with the direction film may be going, thanks to amazing auteurs who constantly push the envelope of cinema and the ways in which films are made. So without further ado, here is Night Film Reviews 14 Best films of the year 2014. (Albeit … 19 days into 2015). I may have a little bit of a soft spot for director David Ayer, especially after his buddy-cop crime masterpiece End of Watch topped my list of best films in 2012, but there is no denying his hard work and passion for the medium. 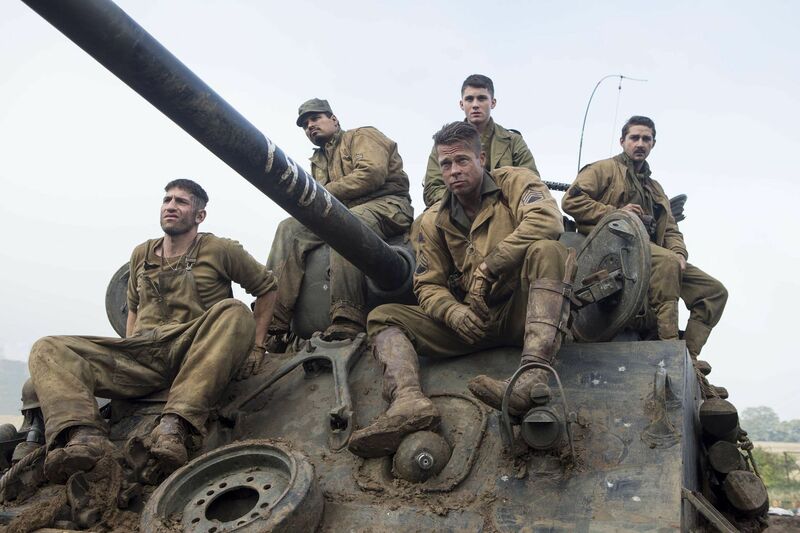 Fury is Ayer’s second feature of 2014, and while his first film Sabotage was met with heavy criticism and slammed completely (the film failed to make its way to Canadian screens), Ayer persevered and delivered one the best World War II epics of 2014. There is no surprise as to why Ayer was hired to pen and direct the upcoming Suicide Squad film for Warner Bros. which includes the immense talents of Will Smith, Margo Robbie and recent Oscar winner Jared Leto. Fury shows Ayer’s ability to deliver ensemble films with casting that works best from its gory start through to its tragic end. Also, keep an eye out of for one of the best scenes of the year; it could equally give Tarantino’s infamous dinner scenes a run for their money. We here at Night Film Reviews don’t care much for Hollywood Blockbusters. Of course, we will indulge in them, but don’t count on them to be anywhere near our best of the year list. One of the least favoured and most patriotic American superheroes ever created, I would have never thought I would have a Captain America film on my Best of List, but it seems today I am eating my words. Captain America: The Winter Soldier, is by far the BEST Marvel film to date, and yes, that includes Guardians of the Galaxy. The Winter Solider is an entertaining espionage film, thriller, actioner, tensioner and all-around cinematic spectacle audiences who love a good film packed with suspense, global threat, quick-paced combat as well as an integrated and clever socio-political commentary on current events. The Winter Solider may be a Captain America film, but its one film that soldiers on in proving that Marvel’s films are no just for fanboys, but anyone at all! Usually, foreign films flood our Best of List every year, proving that the international market is just as capable of pumping out quality cinema as the domestic one. This year, not for lack of seeing them, foreign films haven’t crowded our list this year. Instead, The New Girlfriend along with the Number 4 spot, will be the only two films from across the pond. 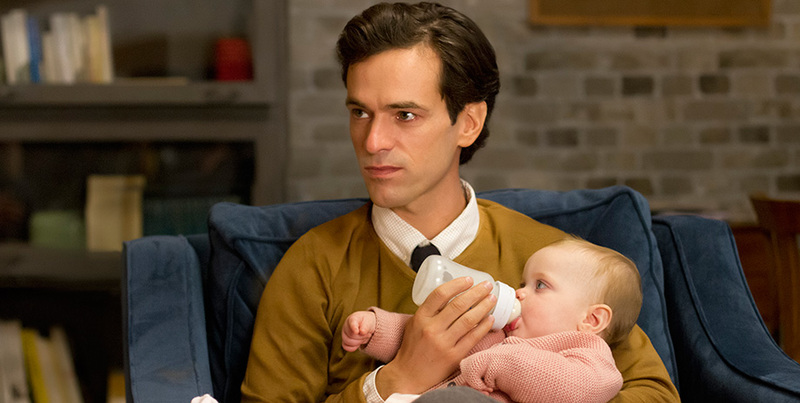 The New Girlfriend is a quaint, yet powerful little French film from personal favourite French auteur François Ozon (Swimming Pool, Young & Beautiful) who sheds light on the possibilities of friendship and the definition of love. The film has some of the most stark and memorable scenes you may see all year, including one of a corpse and passionate lover, as well as some wickedly powerful conversation starter pieces by the films end. The film is sensual, alluring and quite easy to fall in love with, despite its experimental tone and tongue-in-cheek messages. I was lucky enough to catch this film at TIFF in 2014, and haven’t been able to come across it at all anywhere else. If you do get a chance to see this film, make it a priority. Ambition is one of the driving forces behind Christopher Nolan, one of the most compelling and original directors working today. Nolan makes films for everyone; the artsy (Memento), Hollywood (The Dark Knight trilogy), the thoughtful (Inception), festivals (Following). 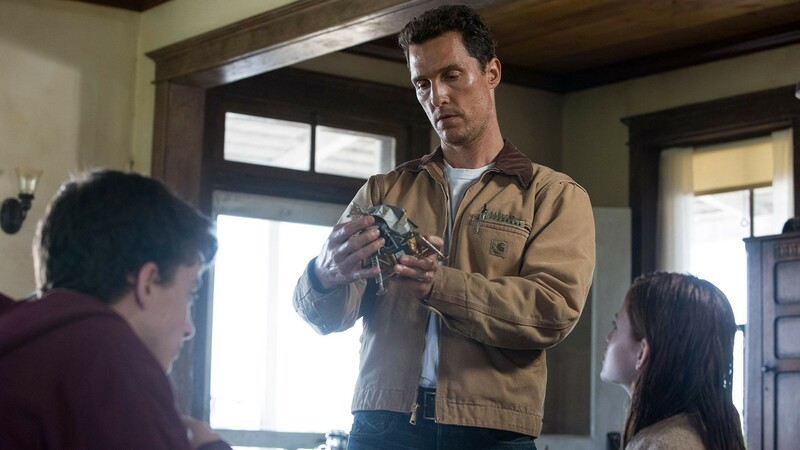 With Interstellar, Nolan combines his achievements in all his films to give us his most carefree and personal film to date. Although the film was met with a fair bit of harsh criticism, as well as being completely ignored by all Award pundits, Nolan marches on with his science-fiction epic that forces us to recall the masterpiece that is 2001: A Space Odyssey. While this film may not live up to the Kubrick cult favourite, Nolan cranks the emotion full blast, allowing him to get the best performances from his actors and unapologetically delivers one of the best science-fictions films of the decade. Just don’t forget to bring the tissues. There is always at least one animated film every year that stands out in extraordinary fashion. 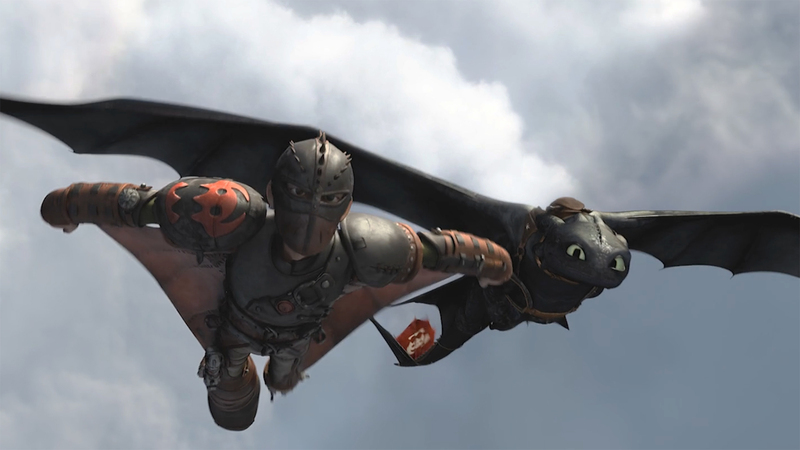 In 2010, Dreamworks Animation released the highly unlikely champion, How To Train Your Dragon, which earned almost half a billion dollars and many fans. One of the many factors that contributed to the success of the Dragon franchise is that the film, although animated, honed in on some of the most authentic and tear-jerking material. Skewing away from the fairy tale clichéd way of telling animated stories, the franchise was bold, brave and invigorated new life to animated feature films. The same can easily be said of How To Train Your Dragon 2. Offering some intense, epic action sequences, solid voice work from an all star cast, including Gerrard Butler, Jay Baruchel, America Ferrera, Jonah Hill, T.J Miller, and Cate Blanchett fresh off her Oscar win for Blue Jasmine, Dragon 2 is a sure-fire animated hit that will please everyone. I highly doubt you will fine a more patriotic Canadian film critique website than us here at Night Film Reviews, and like the Toronto-based rapper Drake, we take every opportunity to promote and glorify Toronto in any way. Sadly, Canadian films usually pale in comparison to so many North American produced films and international films. With the exception of Prisoners, which was directed by a Canadian, Warm Bodies, shot mostly in Canada North, we are proud to include the young and talented Xavier Dolan’s fifth feature (yes, he is only twenty-five years old) and crowning masterpiece Mommy here on our Best of List. Delivering some of the most cinematically satisfying shots of 2014, including the above still as well as a moment that, figuratively and literally, breaks the boarders of film etiquette, Dolan’s Mommy may seem like the most personal and easily relatable film of his career. Given the film’s daunting runtime, Mommy mothers intrigue into young and old filmgoers, nurtures creativity and imagination and gives hope for young Canadian filmmakers and their delivery of top tier films. Consider Mommy this year’s Blue is the Warmest Colour: It too is a film that got snubbed for so many deserving accolades including acting consideration for its two female leads Anne Dorval and Suzanne Clément, as well as a Best Foreign Language film snub at this year’s Oscars. Just make sure you don’t snub yourself from seeing this Canadian crystal yourself. This is probably the entry that is going to get people saying “WTF” out loud, but hear me out. In 2013, writer/director James DeMonaco debuted a film starring Ethan Hawke about the solving of violence in America, by allowing all crime legal, for one day a year. The film itself, was an entreating, yet somewhat unfulfilling home invasion thriller with some solid performances, most notably by its villain, Rhys Wakefield. Although the film was a massive success and box office phenomenon, the feature didn’t quite give audiences what it promised. In The Purge: Anarchy, James DeMonaco expands on his original idea and sets his sights not only on gruesome violence, but also on physiological repercussions of such a traumatic holiday. Add the always badass Frank Grillo as well as some solid supporting turns by one of my favourite break-out stars Keith Stanfield (Selma, Short Term 12) and Carmen Ejogo, and you’ve got a film to marvel at. Taking a very biased stance in the social and political realm of cinema, the film is a self-reflexive piece of very entertaining and thought-provoking American cinema. 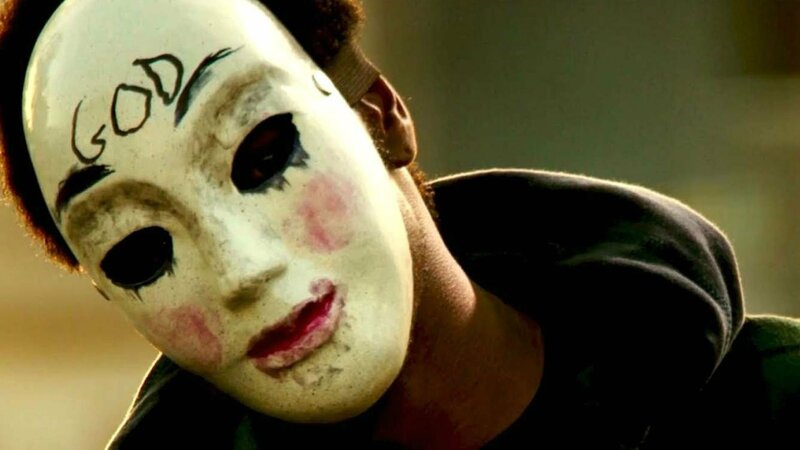 Tackling issues of morality, ethics, gun control, visible minorities and violence, The Purge: Anarchy is one American studio film we are excited to see through to the end, especially given its rebellious conclusion this time around. I cannot wait to purge myself into the next riveting instalment. If we could concoct a “Best Of” that solely featured Tom Hardy, we would. The young and talented rising star is showing his chops and range as an actor and is quickly making it clear that he will be one of the most memorable of our generation. Hardy has done some very eccentric, electric roles as flamboyant characters, for example; the naked and violently crazy Charles Bronson in Bronson and the peculiar speaking Bane in The Dark Knight Rises. However, Hardy’s strength as an actor and his best roles are ones where he says very little or hardly acts at all. Hardy is magnificent in roles where he plays the quiet, subdued individuals (Locke, Tinker, Tailor, Soldier, Spy and Warrior are fine examples). In The Drop, the newest film from Bullhead director Michaël R. Roskam, the director shows the power of subtly filmmaking and controlled visuals. Even if the landscape is shady and impoverish, the film paints a rich portrait of characters we may have never met, or care to never meet in the flesh. The Drop is a tortured picture of people who lead their lives in secrecy, regret and within the deep and dark shadows of their own morality. Many people may not get or even care to think much about The Drop, but once you allow the film into you head, I can assure you that it won’t make its way out for a very long time. Keep a keen eye out for Roskam’s clear muse, the phenomenal and explosive Mattias Schoenaerts, an international actor that will clearly make an impression in 2015 for his upcoming work in Suite française, The Danish Girl and Far from the Madding Crown, as well as the final role of the iconic James Gandolfini. Who would have thought that a Dr. Martin Luther King Jr. biopic, set around the very powerful and impactful events in Selma, Alabama, would be recaptured on the big screen after almost fifty years? The fact of the matter is, a suitable MLK biopic has been needed for a long time and we couldn’t be happier that it was David Oleyowo and Ava DuVernay who brought it to life. Oyelowo is the epitome of a scene-stealer in his portrayal, Ava DuVernay is meticulous and calculated with the images shown on screen and the rest of the supporting cast are magnificent. 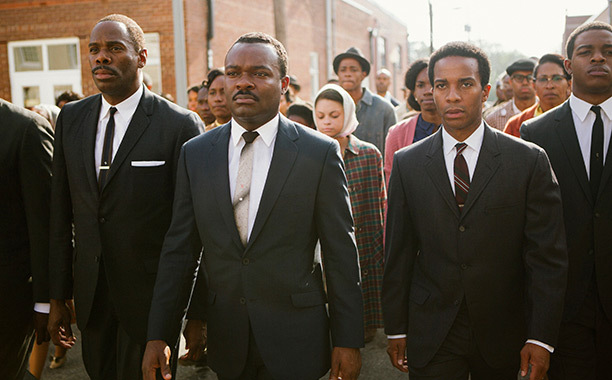 Selma is a true performance piece worthy of high praise, your attendance and attention. Talk about a movie coming out…of nowhere! 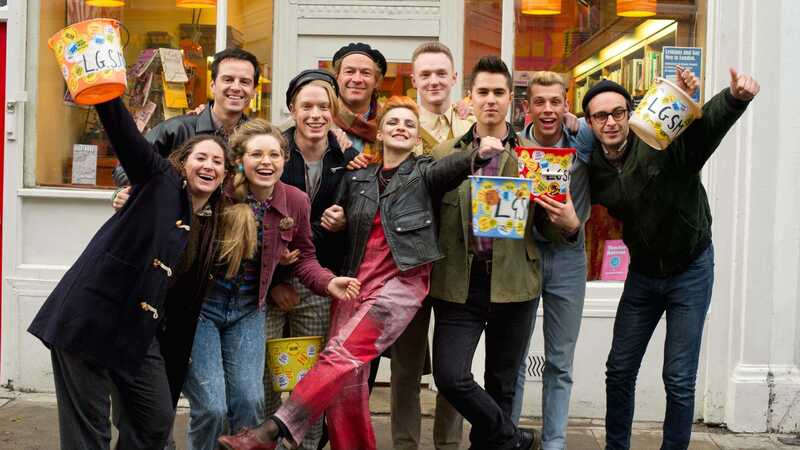 Pride is one of my favourite comedic films of 2014. Mixing a perfect blend of comedy and heavy drama, this timely piece of identity-defining cinema is a true story told in all the right ways. Telling the story of a small activist group called Lesbians and Gay Support the Miners, from London, England, who help raise money for the striking miners that were greatly affected by the policies of the Conservative government of the Iron Lady, Margaret Thatcher’s, Pride is a proud piece of UK cinema. One of the most heartfelt and touching movies on our list, the film delivers an assembled cast who improvise much of their charm on screen. Avoiding melodrama altogether by choosing to opt for truth, heart and a passion for good storytelling, Pride is easily one of the truest films of 2014 that showcases the good of humanity. Packaged under one solidly entertaining film that’s perfect for the whole family. Pride will have you cheering, smiling and dazzle you, with a little extra sparkle and glitter mixed in for good measure. 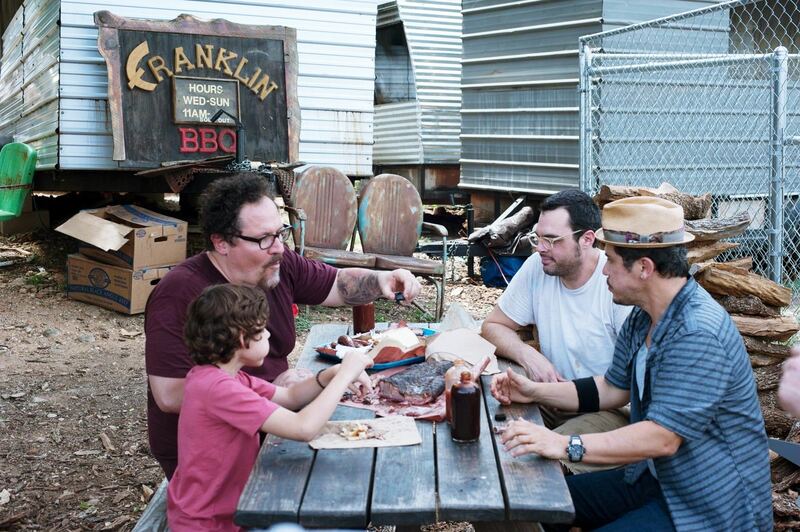 Tasty…delicious…irresistible. I could not think of any better words to describe my Number One pick for best film halfway through the year. Chef will have your mouth watering and taste buds tingling with excitement as well as have you believing in the intertextual nature of cinema. Favreau’s “little film that could” puts together an electric cast of A-listers to deliver the definition of a guilty pleasure film for 2014. Thematically, the writing is spot on for clearly defining a time and generation of people looking for something more fulfilling than a mundane life, Chef showcases an excellent story about family, growing up, growing older but never really giving in. I am so happy that the film barely slipped from its original top spot to number three. Chef is movie magic that will slice and dice its way to the top of your own list. Sadly, I was one of very few who have gotten the chance to experience Ramin Bahrani’s newest feature 99 Homes since its premiere at TIFF. And while the film is still making its rounds on the festival circuit, including Sundance in a few days, the film left quite the impression on me. 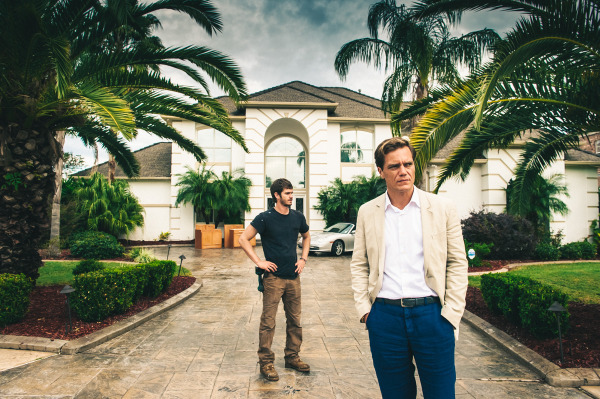 Tackling serious and deadly issues of mortgages, eviction and financial dismay experienced by many families during the severe economic crisis and the decline of the housing market today, 99 Homes is a raw and real tale of a man’s will to survive and another man’s attainment of power, wealth and the results of greed. The film is by far my favourite festival film of the year. It’s a sprawling indie with a charming performance by Andrew Garfield, an unflinchingly terrifying job by the flawless Michael Shannon and impeccable writing/directing by Bahrani. Keep a close eye out for this film when it becomes available at your nearest cineplex or VOD, because 99 Homes shows what happens to so many other people, and pulls the rug out from under you emotionally, leaving viewers with quite the response, perhaps hitting a little too close to home for many. I could give you 99 reasons to watch this film, but being on our prestigious number 2 spot should be enough. There are very few TRUE masters of the cinematic art form, and if there is one that I would campaign all my efforts towards, it would be the one and only David Fincher. One of the most constant American filmmakers working today, and a true maverick of the technical form of film, Fincher places just as much emphasis and importance on the visuals of his films as he does the narrative. Gone Girl is an American masterpiece! Playing with the dynamics of marriage, point of view story-telling and some of the best editing this year, the film is easily one of the most entertaining, captivating and thrilling experiences of the last decade. Dealing with very real issues of privacy, media coverage, corrupt news outlets and the private issues of marriage, Gone Girl is a heightened cinematic tale of the consequences of people’s real and average actions. Many say that Fincher is a man of much hubris; concocting elements of hyper-drama, mystery, tension and thrills in his films, and he just may be. Thankfully, Fincher’s filmography, including Girl With the Dragon Tattoo, The Curious Case of Benjamin Button, Zodiac, Fight Club and of course, a generation defining The Social Network just may prove why. With Fincher, there are hardly degrees of awful, mostly, degrees of sick, twisted and utterly brilliant. Ben Affleck, Tyler Perry, and of course, Rosamund Pike give career best performances in the film that introduces us to another mandatory viewing film for couples who are thinking of getting married, or are already married. 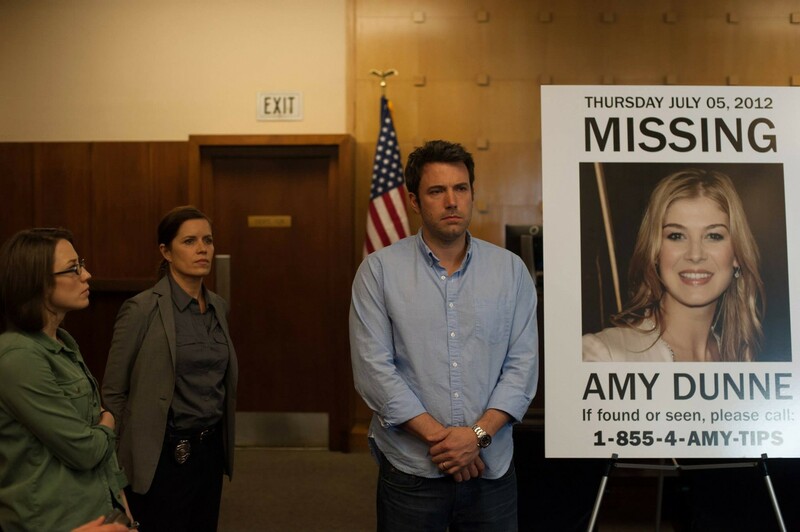 Gone Girl is a film that highlights the danger that exists when communication disappears in so many relationships. Overall, Gone Girl is simply the best film in each and every category of filmmaking; editing, score, directing, acting, cinematography and most of all, screenplay. I mean, how else could you describe a line like this? “When I think of my wife, I always think of the back of her head. I picture cracking her lovely skull, unspooling her brain, trying to get answers. The primal questions of a marriage: What are you thinking? How are you feeling? What have we done to each other? What will we do?” I rest my case. If you haven’t already seen this film, be gone and watch it now and bask in the awesomeness you have been missing thus far. Honourable Mentions: Big Hero 6, Birdman or (The Unexpected Virtue of Ignornace), Dawn of the Planet of the Apes, Foxcatcher, Guardians of the Galaxy, Nightcrawler, The Imitation Game, The Maze Runner, The Theory of Everything and This Is Where I Leave You. So there you have it folks, our best of the year summed up in fourteen films. We hope that you had as much fun reading this as we did putting it together for you. After 208 new films screened this year, one of the most gratifying aspects of what we do here at Night Film Reviews is hearing back from our readers, with their thoughts, praise or rebuttals of all our suggestions. We couldn’t be happier pointing you to films you may have never given a chance to, hear of, or seen if it wasn’t for our suggestions. All art is highly subjective, and the same can be said with cinema. Cinema, being one of our favourite art forms, is one that excels on emotion, soars with heart and tells a story that can be either relatable or a complete escape for viewers. It is simply for this reason that we love it! We hope that the above list offers so many of these similar experiences, and most importantly, brings a big smile to your face or offers a challenging conversation with a complete stranger. Here’s looking to the films of 2015! Probably the most in depth and honest review I’ve read! Looking forward to 2015! !